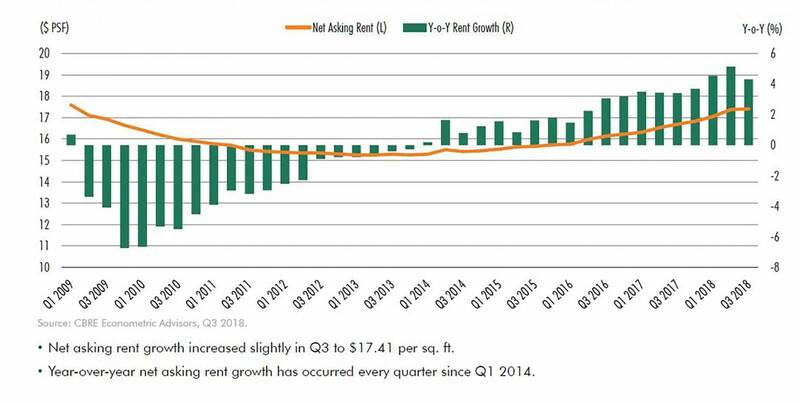 The third quarter was a happy one for the retail real estate industry: Sales and rents rose, consumer confidence remained high and availability fell, across every shopping center category, according to CBRE. 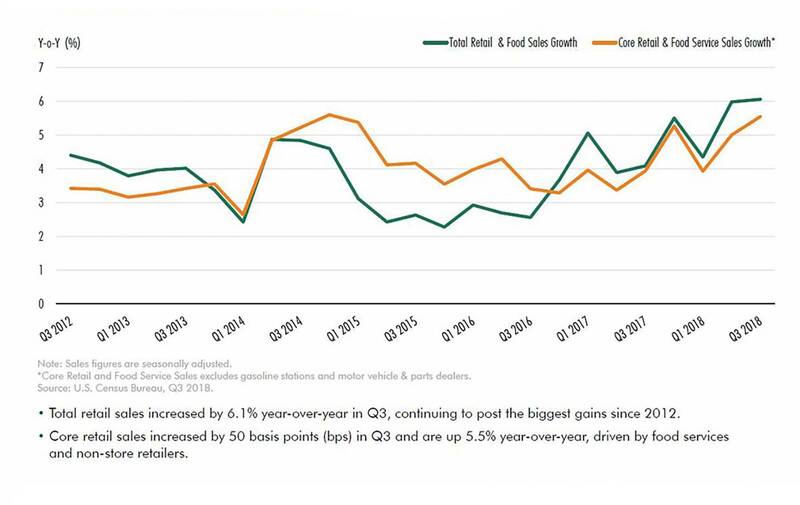 Core retail sales, which exclude motor vehicles and gasoline, rose by 5.5 percent year on year during the quarter, and those are expected to keep growing through the holiday period, CBRE says. Net asking rent increased by 4.3 percent, to an average of $17.41 per square foot. 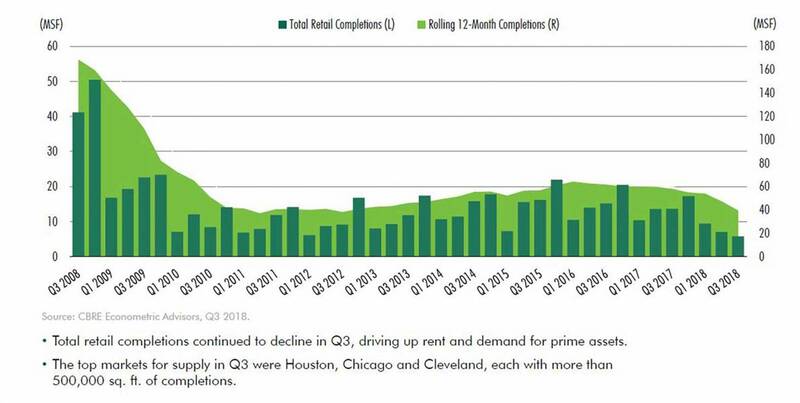 Net absorption of retail space amounted to 13.3 million square feet across all categories of retail real estate during the quarter — including at power and lifestyle centers, both of which had seen a year-over-year absorption decline in the second quarter. Retail real estate availability (space that is vacant regardless whether it is leased or not) fell by 10 basis points from the second quarter and now stands at 6.4 percent. Helping that decline along, no doubt, was a decrease in the development of new space — some 5.8 million square feet came on during the quarter. The top markets for development were Chicago, Cleveland and Houston, each of which got some 500,000 square feet, according to the report. 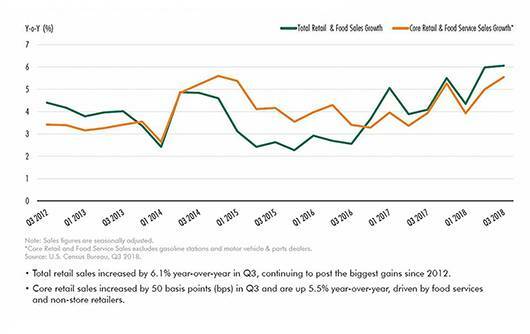 CBRE’s consumer sentiment index outperformed the 10-year average as nonfarm payrolls continued to increase, reaching their highest level since the first quarter of 2017.